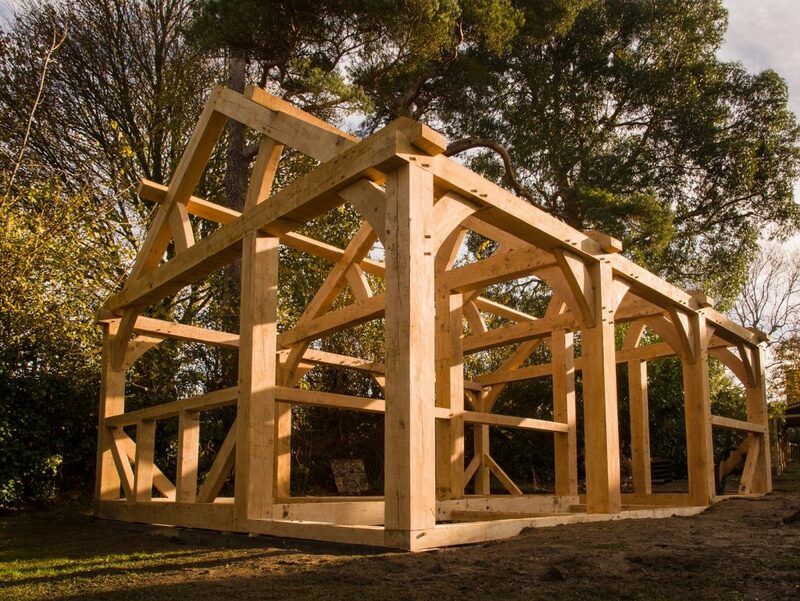 A satisfied customer has shared his experience of creating an oak-framed build with Tradoak. Robert Crofton chose Tradoak to create the oak frame for his residential Old Off Licence build in November, 2017. “We were impressed with the workmanship on other jobs Neil showed to us,” he said. Robert visited our East Sussex yard to select his timber and talk to the team who created a bespoke design for his oak frame. After going through the design process the timber was cut to specification, delivered to site and assembled. “It was very easy and very simple, the guys did everything they said they were going to do,” said Robert. “There were no issues at all. When a client first approaches us about a framed build we work with initial drawings to get a sense of the desired look. After taking measurements we create a frame design then detailed frame drawings. The timber is selected once the final design is signed off. If green or air-dried oak is being used all the beams are straight, true and square. However, if reclaimed oak is being used the process is more complicated as each beam is unique and has its own history. Once beams have been selected and treated the framing process can begin. You can take a look at the whole oak framing process here. 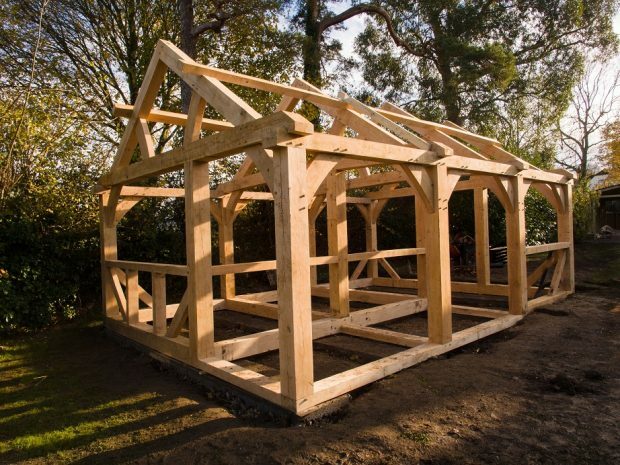 Tradoak specialises in creating oak-framed houses, garages and extensions. 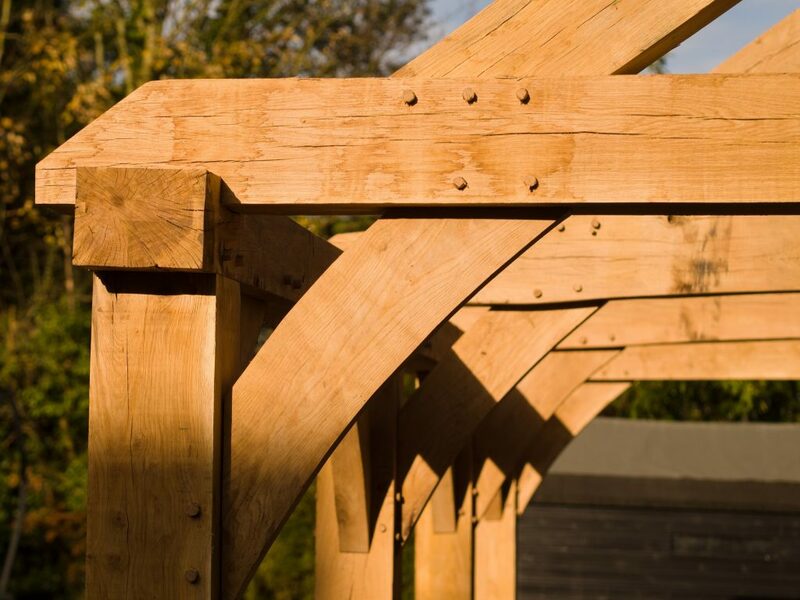 We can make structures to exact specifications using freshly cut green oak, air-dried oak or even historical reclaimed oak. Tradoak works closely with architects and structural engineers to ensure your build is a success. A 3D design will also help you visualise your final product long before building work commences. For more information visit our oak framing page, call 01825 723 648 or complete our contact form.